Mississippian Mortuary Practices: Beyond Hierarchy and the Representationist Perspective. (L.P. Sullivan & Robert C. Mainfort, Jr., eds.) 2009. University Press of Florida, Gainesville. Curating Archaeological Collections: From the Field to the Repository. (L.P. Sullivan & S. Terry Childs) 2003Alta Mira Press, Walnut Creek, CA. Archaeology of the Appalachian Highlands. (L.P. Sullivan & Susan C. Prezzano, eds.) 2001. The University of Tennessee Press, Knoxville. Grit-Tempered: Early Women Archaeologists in the Southeastern United States. (Nancy M. White, L. P. Sullivan, & Rochelle Marrinan, eds.)1999. Florida Museum of Natural History, Ripley P. Bullen Series, University Press of Florida, Gainesville. Ancient Earthen Enclosures of the Eastern Woodlands. (Robert C. Mainfort & L. P. Sullivan, eds.). 1998. Florida Museum of Natural History, Ripley P. Bullen Series, University Press of Florida, Gainesville. Reanalyzing the Ripley Site: Earthworks and Late Prehistory on the Lake Erie Plain. (L.P. Sullivan, ed.). 1996.New York State Museum Bulletin 489. The State Education Department, Albany. The Prehistory of the Chickamauga Basin in Tennessee (2 vols.).(L.P. Sullivan, ed.) 1995. The University of Tennessee Press, Knoxville. Residential Burial, Gender Roles, and Political Development in Late Prehistoric and Early Cherokee Cultures of the Southern Appalachians. (L.P. Sullivan & Christopher B. Rodning). 2010. In Residential Burial: A Multi-Regional Exploration, edited by Ron Adams & Stacie King. AP3A Series, American Anthropological Association. Washington D.C.
Mississippian Mortuary Practices: The Quest for Interpretations. (L.P. Sullivan & Robert C. Mainfort, Jr.) 2009 In Mississippian Mortuary Practices: Beyond Hierarchy and the Representationist Perspective, L.P. Sullivan & Robert C. Mainfort, Jr., eds. University Press of Florida, Gainesville. Mortuary Practices and Cultural Identity at the Turn of the Sixteenth Century in Eastern Tennessee. (L.P. Sullivan & Michaelyn S. Harle) 2009. In Mississippian Mortuary Practices: Beyond Hierarchy and the Representationist Perspective, L.P. Sullivan & Robert C. Mainfort, Jr., eds. 2009. University Press of Florida, Gainesville. Archaeological Time Constructs and the Construction of the Hiwassee Island Mound. In 75 Years of TVA Archaeology, Erin Pritchard, ed. 2009 University of Tennessee Press.. Differential Diagnosis of Cartilaginous Dysplasia and Probable Osgood-Schlatter's Disease in a Mississippian Individual from East Tennessee. (Elizabeth DiGangi, Jon Bethard, & L. P. Sullivan). 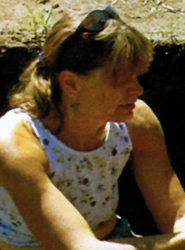 2009. International Journal of Osteoarchaeology..
Hiwassee Island. 2008 In Archaeology in America: An Encyclopedia (four volumes),Francis P. McManamon, Linda S. Cordell, Kent G. Lightfoot, and George R. Milner, eds.. Greenwood Press, Westport, CT.
A WPA Déjà Vu on Mississippian Architecture. 2007 In Architectural Variability in the Southeast: Comprehensive Case Studies of Mississippian Structures, pp. 117-135, Cameron H. Lacquement, ed. University of Alabama Press, Tuscaloosa. Cahokia’s Mound 31: A Short-Term Occupation at a Long-Term Site. 2007 Southeastern Archaeology 26(1):12-31. (L.P. Sullivan & Timothy R. Pauketat). L’archéologie de sauvetage à la Tennessee Valley Authority: une politique à long-terme. (Bailey Young & L. P. Sullivan) 2007 In L’archéologie préventive dans la monde: Apports d’archéologie préventive à la connaissance du passé, pp. 271-286. INRAP, Paris, France. Dating the Southeastern Ceremonial Complex in Eastern Tennessee. 2007 In Southeastern Ceremonial Complex: Chronology, Iconography, and Style, Adam King, ed. pp. 88-106. University of Alabama Press. Invisible Hands: Women in Bioarchaeology. (Mary Lucas Powell, Della Collins Cook, Georgieann Bogdan, Jane E. Buikstra, Mario M. Castro, Patrick D. Horne, David R. Hunt, Richard T. Koritzer, Sheila Ferraz Mendonça de Souza, Mary Kay Sandford, Laurie Saunders, Glaucia Aparecida Malerba Sene, L. P. Sullivan, John J. Swetnam) 2006In A History of American Bioarchaeology: Peopling the Past, pp.131-194, Jane E. Buikstra, ed. Elsevier Press, Burlington, MA. Gendered Contexts of Mississippian Leadership in Southern Appalachia. 2006 In Leadership and Polity in Mississippian Society, pp. 264-285, Paul Welch & Brian Butler, eds.Southern Illinois University Press, Carbondale.